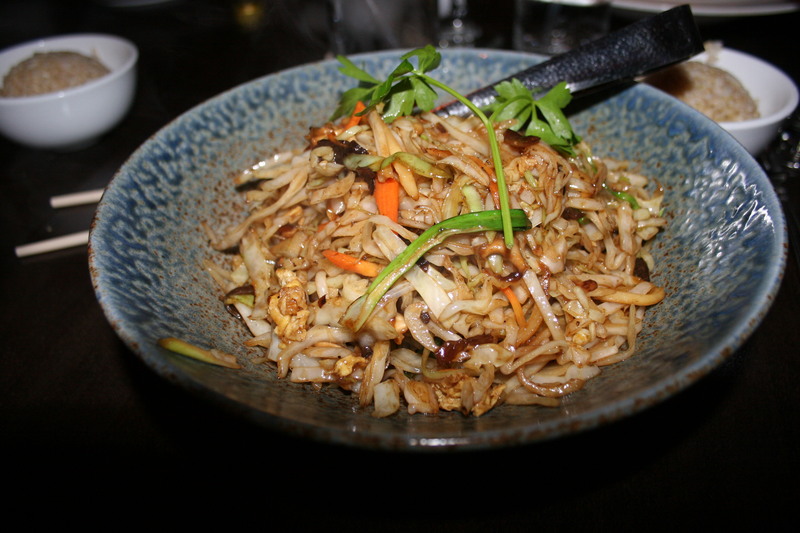 We don’t do Chinese very often but six of us converged on Wild Ginger, an Asian themed restaurant tucked away in one of the many new strip malls on Berlin-Crosskeys Rd in Sicklerville or Washington Twp. as it probably straddles the border. Being a Friday evening in the middle of Lent, I wasn’t going to have my choice of the entire menu but there were certainly enough fish choices to provide the possibilities of a good meal. I don’t often go with a white wine as both my wife and I greatly prefer reds with just about any type of food. 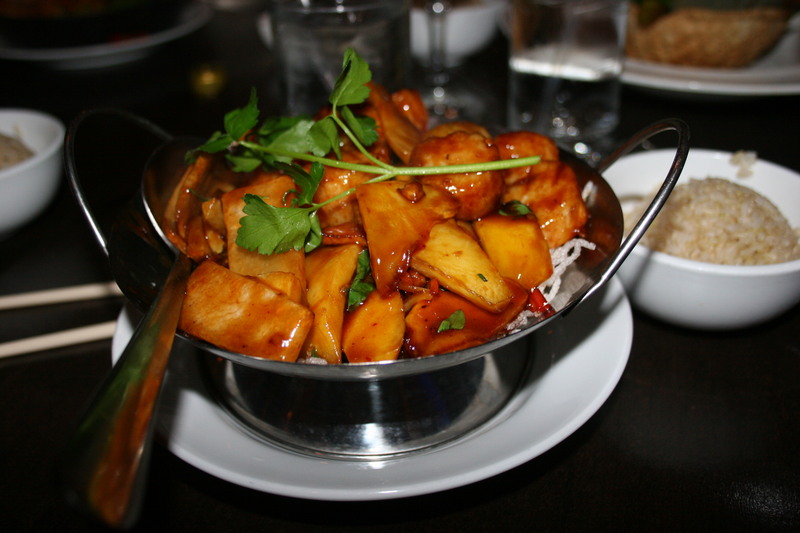 It did seem that if ever there was going to be a time for a white wine it might be tonight when we were certain our choice of Asian cuisine would certainly be a fish entree. 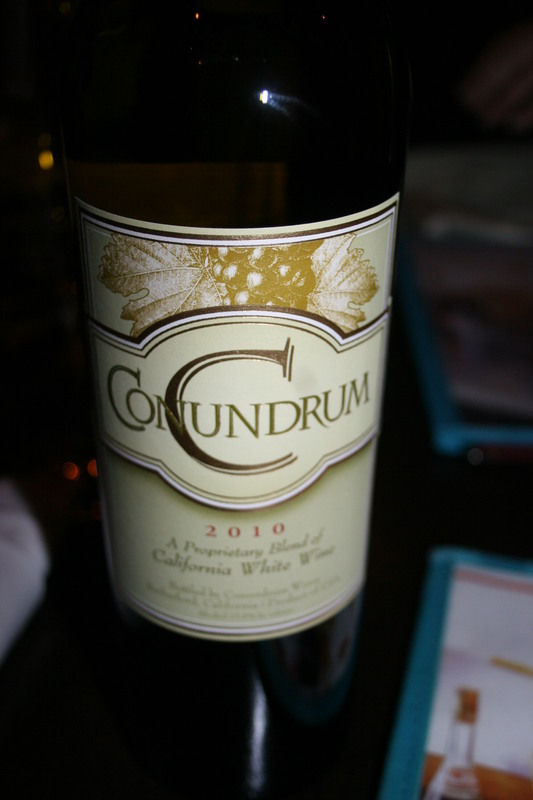 The wine was the 2010 Caymus Conundrum, California White Wine. Reviews on this wine are somewhat less than stellar but I thought it matched well with our food and my wife found it surprisingly good. It’s a blend of several different white grapes, Sauvignon Blanc, Chardonnay, Semillion, Muscat and others and the “conundrum” is deciding which tropical flavors one notes on the palate. 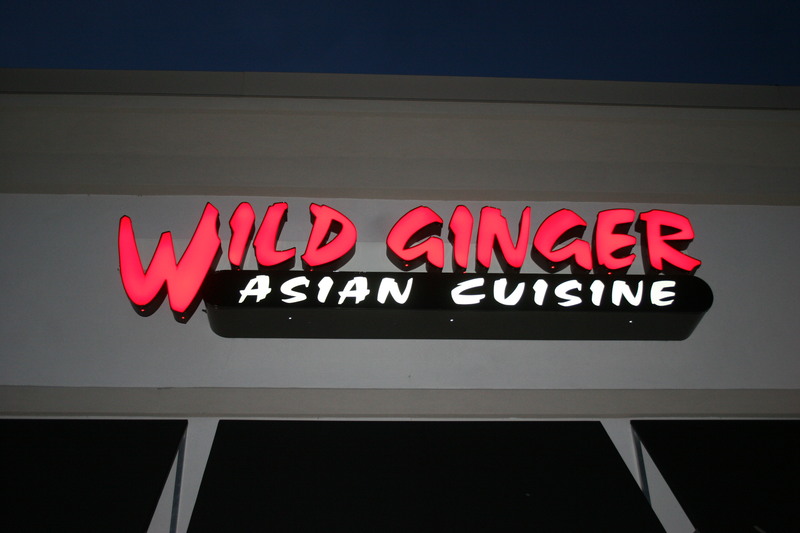 While searching online for the menu for Wild Ginger it is apparent they do not have a website nor has anyone captured the menu and posted it online. Therefore, this lobster in a pastry shell must remain unnamed. That might be just as well since there wasn’t anything about it that made it standout. It was bland. 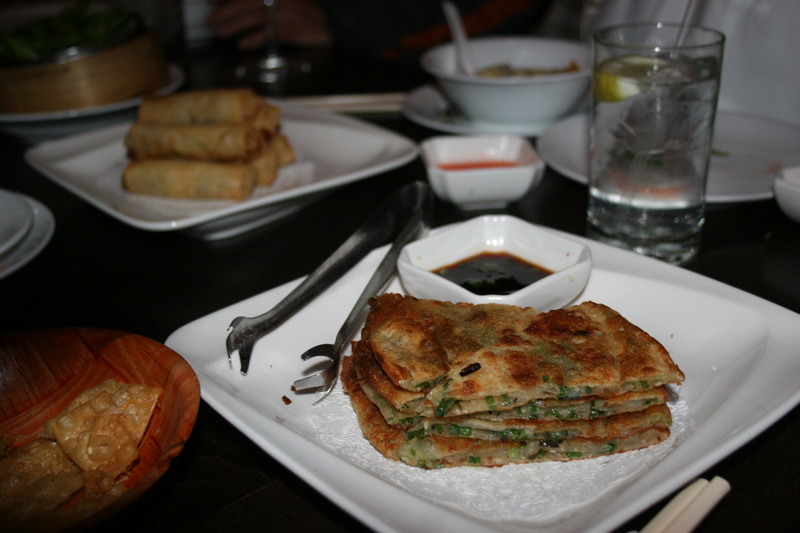 Some of the other assorted appetizers that we shared were a little bit better. 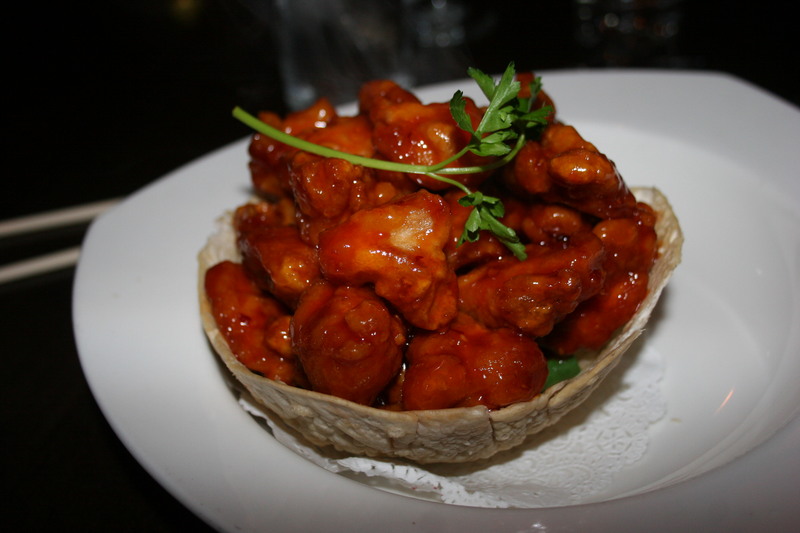 The “Chinese Pizza” or scallion cakes were tasty when slathered with the hot mustard and duck sauce, the fried rice was less than average and Joe’s General Tso Chicken looked really good and made me wish this was not a Friday in lent. My “meatless” entree choice was the Scallops in Mango Sauce. The fish was good, the sauce, not bad, but I have never been a fan of Chinese veggies and picked around what were possibly bamboo shoots. The dish was served with some very tasteless white rice that congealed together and fought valiantly whenever you attempted to untangle some of it. 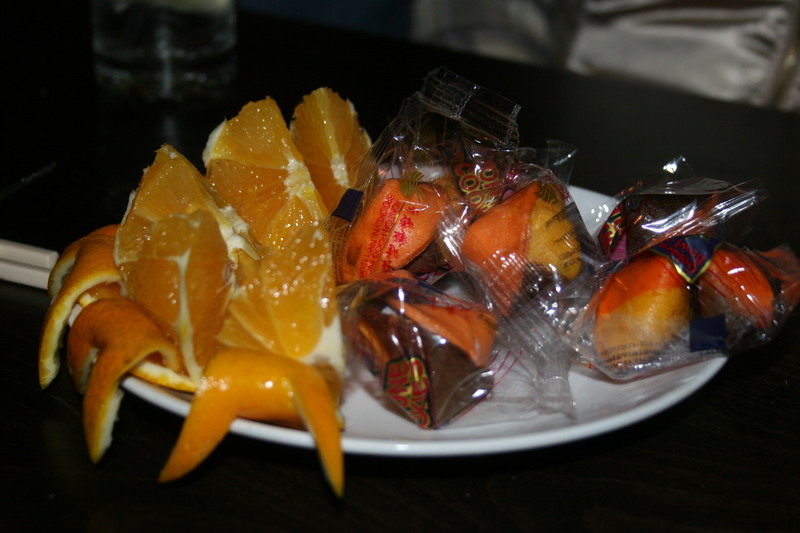 Wild Ginger closes out the meal with a plate of oranges and fortune cookies. It’s tough to screw up an orange slice so no complaints on that score. It’s really not fair for me to rate our dinner as meat was excluded from the choices. 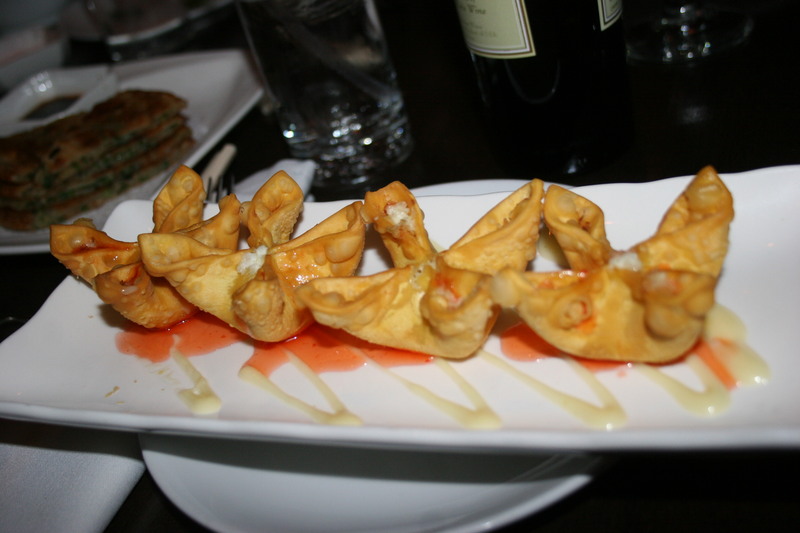 If all I could ever have was my lobster pastry puffs and the mango scallops, I would not be rushing back to Wild Ginger. The little slip of paper that contained my “fortune” did not indicate a return visit. As always, your mileage may vary.